Wild Trout is a great reminder one does not need to travel to Montana or Wyoming for good fishing waters. California has a number of great options right in its backyard and this book highlights those opportunities. Like many fly fisherman I have evolved over the years from counting the number of fish I could hook (and bring home) to appreciating where I fished and catching wild trout. Pound for pound there is no comparison fighting a wild trout over a hatchery one. Add in a scenic location and you have what many of us are searching for. The book identifies these types of rivers in California - somewhere you can be happy just walking the river. Toss in the possibility for a wild trout and it's priceless. 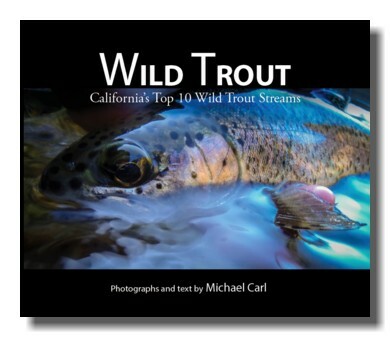 Showcasing California's most productive and scenic wild trout streams, look for my latest book, Wild Trout - California's Top 10 Wild Trout Streams. I respect wild trout. Basically, wild trout are tougher to approach. I appreciate their leeriness. They may or may not be difficult to fool with a fly, depending on the fishing pressure. And pound for pound these wild trout fight harder when hooked. The science to my mind is simple - wild trout have learned to survive without any help from us humans (e.g., no net protected troughs to swim in with free meals). Predator avoidance is learned early or not at all in a wild trout's life. Unfamiliar sights and sounds send wild fish on a beeline for their panic rooms. Just try bouncing straight up to the edge of a wild trout stream and begin false casting. Then, scan the water. The trout have vacated. Another assured bonus in the whole fishing for wild trout experience has to be the natural surroundings. The saying "trout don't live in ugly places" applies double or triple here. Selecting the top ten wild trout streams in California began a process for me of choosing equal parts good fishing and good scenery. The exception being those streams holding bigger than average trout getting extra consideration. During the planning and design of this book, however, serious conflict characterized the selection process. As an angler I leaned strongly toward the trophy trout waters. But, as a photographer I got swept up in the visuals of a place. 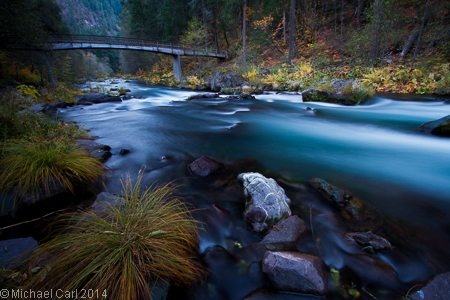 In the end, I went with my gut feel on which streams were my top 10 wild trout streams. 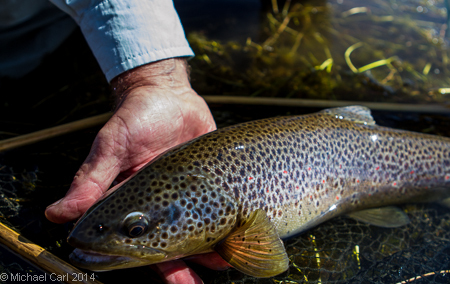 For me, I view wild trout as much a product of good genes as a product of their environment. By definition, a wild trout stream must be able to sustain that population of fish. And conversely, these fish depend on healthy, intact aquatic ecosystems to survive. The two pieces can't be separated. 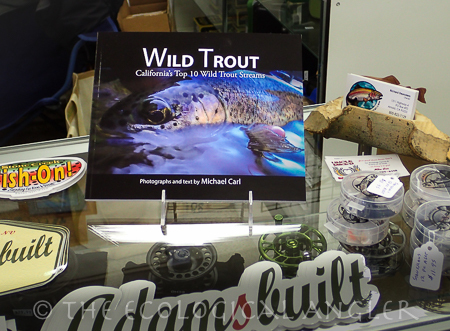 Look for Wild Trout in select fly shops in Northern California and in towns along the Sierra Nevada, and support your local fly shop!